King George Whiting is the largest of the whiting species and would have to be considered as one of the best table fish around. South Australia has densest concentration of King George Whiting in Australia and is a favourite for many South Australian fishermen although King George Whiting are common in coastal waters of southern Australia from southern N.S.W. to southern W.A. including north-east Tas. King George whiting has a silvery body, which is dusky yellow above and has irregular oblique rows of small bronze or brown spots on the back and upper sides. It is the largest of all species of whiting. King George whiting has a delicate flavour and texture and one of its prime qualities is that it retains its flavour after being frozen but its also well known as a hard battler providing good sport to the lucky fisherman. 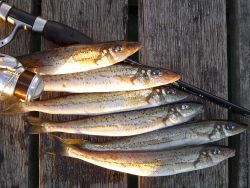 King George whiting generally school in large numbers in shallow coastal and estuarine waters with a preference for grassy flats with sand and mud bottoms. Young fish tend to congregate in estuaries, inlets, bays, beaches and other sheltered coastal waters in close proximity to see grass beds while the adults prefer the deeper water along channels, gutters and offshore with a less dependence on sea grass habitats. Larger fish may also be found individually in deeper offshore areas near reefs. 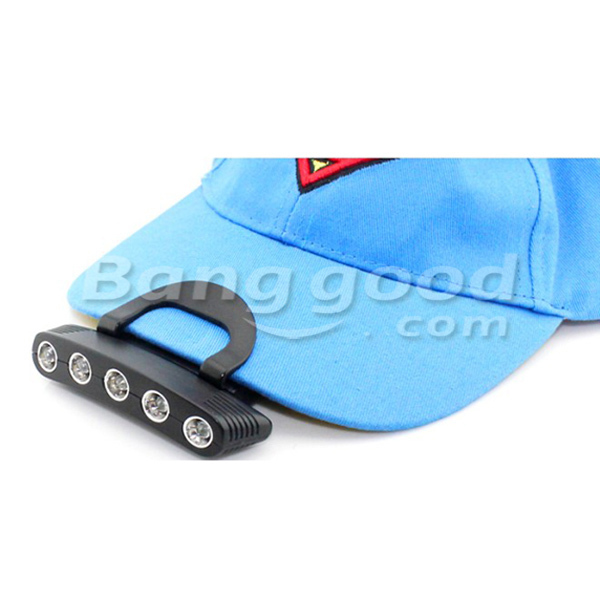 Most anglers recommend that the best bait for King George Whiting is bass abbies (nippers), beach and other worms, crab, cockles and other bivalve molluscs, octupus and squid. We've found that because King George Whiting congregate in deep channels and holes during low tide and are found in the shallows at high tide at night, the seem to bite best in running tidal currents. If you're fishing tidal channels and deeper water for the larger fish,use 6kg line and running sinkers as well as an extended leader. Size 2 or 4 hooks will usually do the trick. 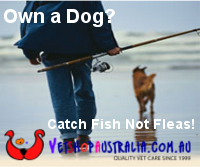 If fishing for whiting from the beach make sure your baits are well secure.